Prepare to be inspired! 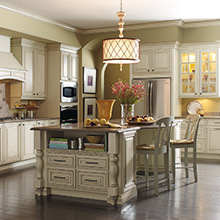 Our galleries showcase the many diverse looks you can achieve with Kemper cabinetry. Your imagination will be sparked by our beautiful imagery so you can hone in on your personal style preference. Visualize the style that depicts how you want to live your life.